A new partnership is making it easier than ever for districts to manage the Apple ecosystem. How can districts efficiently manage devices and apps to support ambitious academic goals? 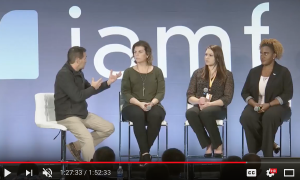 In this JNUC 2017 keynote, learn how the new partnership between eSpark Learning and Jamf will transform personalized learning and device management for your district.